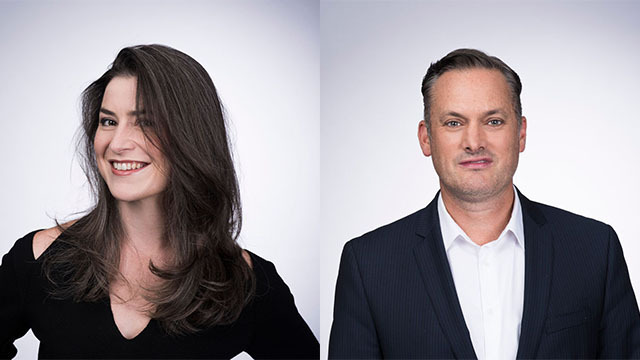 CNN International Commercial (CNNIC) has hired digital advertising and strategy experts from Buzzfeed and Box Plus as it continues to increase its multi-platform capabilities for advertising partners. Brandon Keenen joins as Senior Digital Commercial Director. Formerly a Senior Director at Buzzfeed Europe and with stints at AOL and Gigya, Keenen brings a wealth of media experience spanning 15 years in sales, management and tech roles. In this newly-created position at CNNIC, Keenen leads a global team of Digital Directors working closely with CNN’s advertising teams to create cross-platform campaigns for a wide range of brands and agency clients. Keenen is also tasked with growing CNN’s client base of digitally-focused advertisers, identifying and building new revenue opportunities beyond traditional advertising models, and leading digital-first go-to-market strategies. Pippa Scaife also joins CNNIC in another new role as Commercial Director focusing on growing brand partnerships for Great Big Story, the independent global media company dedicated to cinematic storytelling, which recently received a $40m second round investment from CNN to launch an always-on network in late 2018. She will also lead CNNIC’s commercial strategy around the emerging CNN business Beme News, the technology and media company driven by YouTube personality Casey Neistat. Scaife works with Keenen, CNNIC’s Digital Directors and global advertising sales teams to develop brand solutions, building on successful partnerships such as All Nippon Airways, Genesis, Dubai Tourism and Korean Air. Scaife was previously Head of Business Development at Box Plus, the UK’s largest music TV network, and previously held roles at SonyPlaystation and Spotify. Both Keenen and Scaife are based in London and report to Rob Bradley, Vice President, Digital Commercial Strategy, at CNN International Commercial. They will work closely on digital and multi-platform initiatives with CNNIC’s senior advertising leadership team of Sunita Rajan, Senior Vice President, Advertising Sales APAC, Petra Malenicka, Senior Vice President Advertising Sales, Western Europe and the Americas, and Cathy Ibal, Regional Advertising Sales.